Christ Apostolic Church Council Of Publicity Secretaries (CACCOPS) is set to hold the 2019 edition of her annual Publicity Conference. 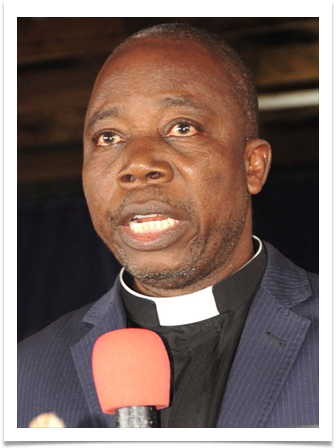 In a statement signed by CACCOPS National Secretary, Pastor David O. Oladapo the theme of the conference is "Responsibilities of Stakeholders In Effective Management of Church Publicity." The conference topics according to Pastor Oladapo are "Church Publicity Management: The Scriptural Dynamics" and " Stakeholder Management of Church Publicity." The cleric further stated that Ikeji-Arakeji centre of the conference which comprises of Akinyele, Babajide, Babalola & Odubanjo Regions would hold on Friday, 5th July, 2019, while Adelaja & Medaiyese Regions bloc of the conference would hold in Kano, Abuja & Bokkos respectively on Friday, 12th July. Similarly, Hanson, Odusona & Olutimehin Regions bloc of the conference would hold on Friday, 19th July at Benin-City, Enugu & Port-Harcourt respectively. N5,000 is the registration fee for the conference, adding that preregistration has started at all Centres. For more information on the conference, you can call Pastor Oladapo on 0803-318-1774.